You’re seated at the table. You’re speaking but it’s not resonating. Your words, your ideas, your issues seem to evaporate as soon as they’re spoken. They’re relevant. They’re on topic – at least you think so. Yet they have little purchase here – at the Twitter Chat table – where silence on matters of diversity are generally par for the course. Inspiration, passion and excitement abound in many twitter chats. 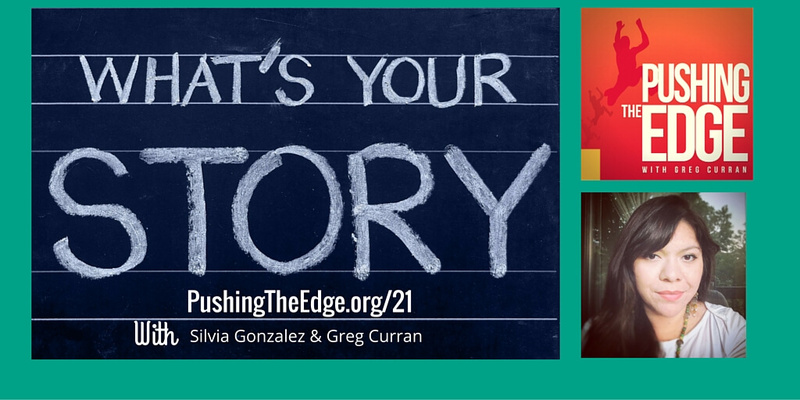 They’re undeniably inspiring and infectious – with much good happening. But increasingly I’ve felt alienated by the silence – a silence that few educators seem willing to address. It’s left me with the feeling that many twitter chats just aren’t for me, or many others. At far too many Twitter Chat tables – gender, race, ethnicity, sexuality, socio-economic status, and other dimensions of difference are rarely spoken about. It’s like we’re talking about generic students who don’t have a gender, a race, an ethnicity, a sexuality…..
Invisibility – on the ‘difference’ front it seems – is the order of the day. I get that this silence is not necessarily intentional. And if that describes your situation – here’s some tips to challenge the silence in Twitter Chats. I know there are one-off twitter chats where space is allocated to talk about ‘difference’ or a social-justice issue of the moment. In the context of so much silence, I’m happy that these chats exist. But they’re no-where near enough, nor especially adequate, when it’s back to invisibility on the diversity front, the next week. It reminds me of those ‘cultural diversity’ days in school. They’re often fun, wonderful occasions but if they remain just one-off days disconnected from the everyday life of your school – what message does that send to your students about the true value of cultural diversity? Yes that’s the issue I’ve been grappling with for a while. A seat at the table – where we’re visible, recognized and actively engaged with. Not a seat at the back of the room – that we’re expected to be grateful for. Michael Warner’s The Trouble with Normal, introduced me to the concept of a seat at the table – when I wrote my PhD – many years ago. The idea: As gay or lesbian couples we could have a seat at the table (and indeed get married) so long as we conformed to mainstream ideas about relationships. That meant looking and behaving like a ‘normal’ heterosexual couple. And it meant not being too outspoken for your ’cause’. For some gay and lesbian people, who lived their relationship in normative ways, that was fine. But for many others – acceptance at the table – meant toning down, shutting up, or self-censoring your lived reality. Or to put it another way, it meant being a ‘respectable’ gay couple who quietly ‘fitted in’ and didn’t make any demands of the wider society. 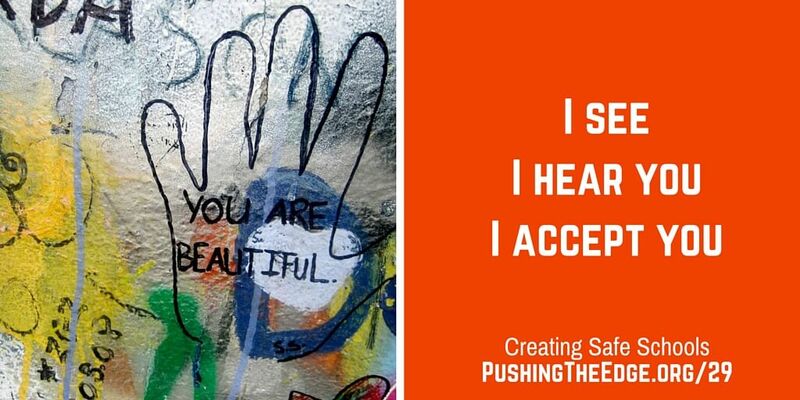 The unspoken demand to not be noticeably different – and to not draw attention to systemic discrimination – happens across all aspects of identity. Here in Australia, a graphic example was the booing and racist chants directed at Australian Football League Star, Adam Goodes, each time he’d pick up the ball in an AFL game. Adam dared to take a visible stance against racism – at footy games. He dared to advocate for his people. And for that he paid a heavy price. He was not being an ‘acceptable’ indigenous person, someone who just ‘shut up’ and ‘got on’ with playing the game. And so I come back to that seat at the table. What’s being asked of us – those who identify strongly with one or more aspects of our identity – to have a legitimate, prominent seat at the twitter chat table? How might we move from feeling like an outsider within these spaces? It seems that if you want to address dimensions of difference in education twitter chats – then you need to create a dedicated space to do that. Just so we can talk about how we’re standing up for, and supporting, student agency on the diversity front. In so doing, we create spaces where we can acknowledge and celebrate the challenges, the persistence, the achievements, the hopes and the joy within our diverse communities. 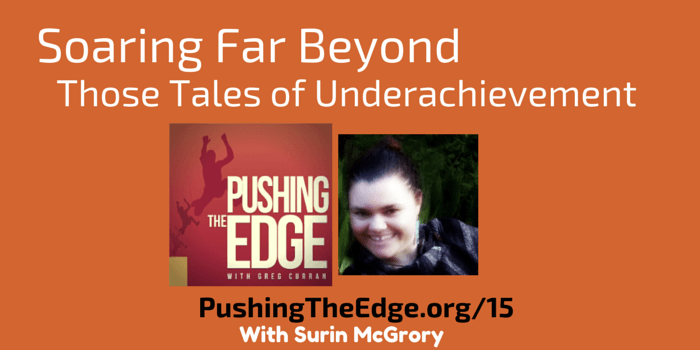 Listen to my chat with Christina Torres where we discuss how we might focus on the positives within students’ communities. 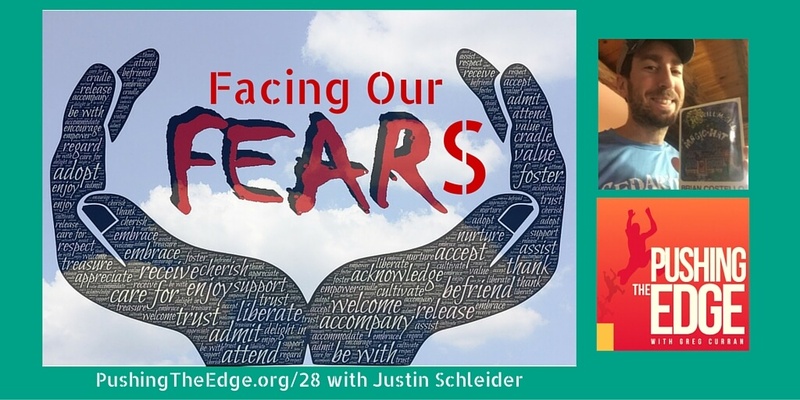 teachers tackle the real-world issues impacting on their students. Issues that many educators and administrators would run from, avoid, or label as ‘inappropriate’ content for children. When I’m there, it feels a little more like home. Yet still I don’t feel like I completely belong. Challenges persist at the intersections of difference. As a privileged white, gay man – what space might I take up here? Often there’s silence around sexuality – so how might I participate even when I see the intersections between race, ethnicity and sexuality. I don’t pretend to know the answers here (as if there can be an ‘answer’). But you know what – that’s okay. I’m listening, learning and growing big time in this space of tentativeness and incomplete knowing. 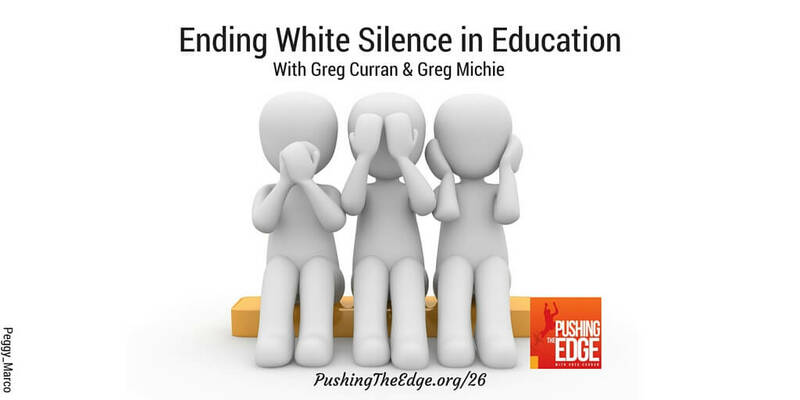 I’ve been more than fortunate to have a seat at a table with Social Justice educators like Nakisha Hobbs, Silvia Gonzalez, Christina Torres, Surin McGrory, Bill Ivey, Greg Michie, and Rusul Alrubail – via my Pushing The Edge podcast. Talking to Nakisha, Rusul, Silvia, Surin, Bill, Greg and Christina has shown me where I need to be. When I’m talking to them, I feel like I’m home. When I’m talking to them, I’m excited about the possibilities for Social Justice in Education. Listen to our conversations by clicking the links below. Check out my tips for making Twitter Chats much more inclusive of diversity – of all dimensions. 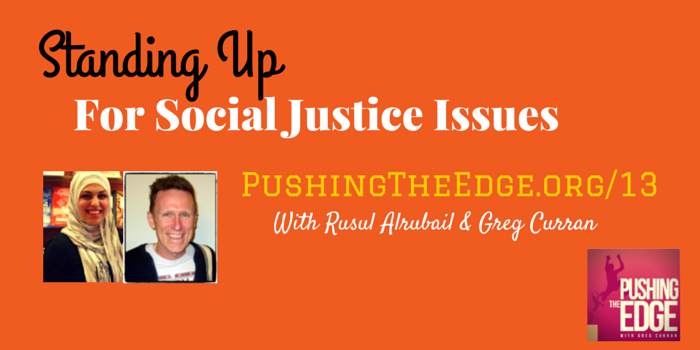 I’ve collated all my posts and podcasts relating to Social Justice. Plus I’ve added key Social Justice websites for Educators. Mainstream chats are designed to be safe, I think, and therefore some of the critical issues are alluded to at best and tend to be glossed over. I think we do need to be thinking about different , more demanding and confronting issues but it depends on the age group you are dealing with. 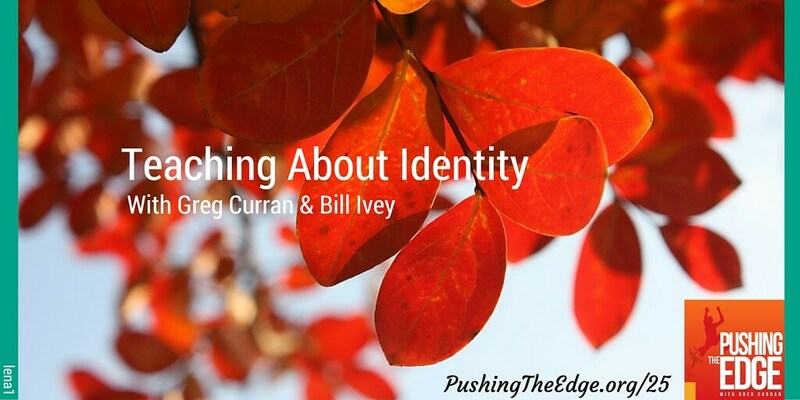 There is plenty of room for chats dealing with teenage and adult issues and identity development and there is plenty of room for podcasts such as yours, video channels, blogs. ACARA includes that in the personal and social capability . I just wrote a post on my personal and social capability blog about emotional first aid. Twitter chats are relatively new and so your post now is a reminder we need to grow and put out the branches. I don’t sit at the back of the room. I choose my seat and I think you do too. You have looked in this post at what you have done and accomplished. Not a bad effort! Cheers Cathy – I really appreciate your feedback though we may have to agree to disagree in some respects. I agree that we need to grow and put out the branches. To me, it’s about considering the social justice implications of what’s being discussed. And yes that does mean thinking differently, maybe being more challenging or confronting at times – though I don’t think this always has to be the case. I don’t agree with being relegated to the sidelines in special interest chats (although they have a place) – or hived off to the personal or social capability realms. Social Justice issues impact on all aspects of education. Throughout my time in education (primary, TAFE, university), educators have often suggested that the diversity-related issues I was (or others were) raising – were more appropriate for an older age or a different cohort group. Turns out they just didn’t want to talk about it and that was their opt-out clause. Issues of diversity impact on us from when we’re born and need to be talked about at all ages. 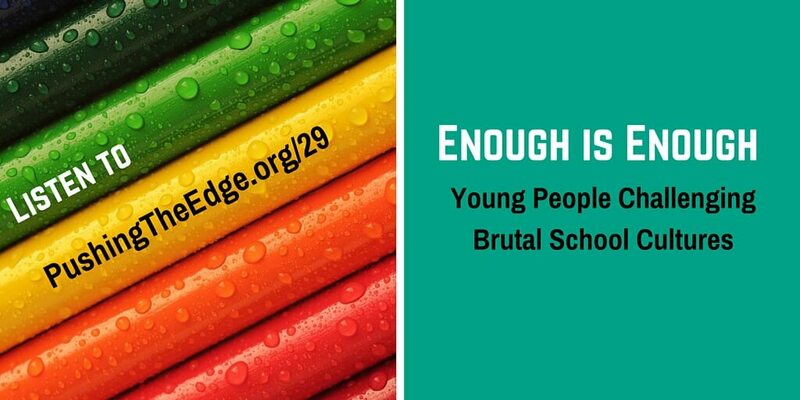 It’s time that a few more of us called out and challenged the silence on matters of social justice in education for the safety and well-being of all our students.